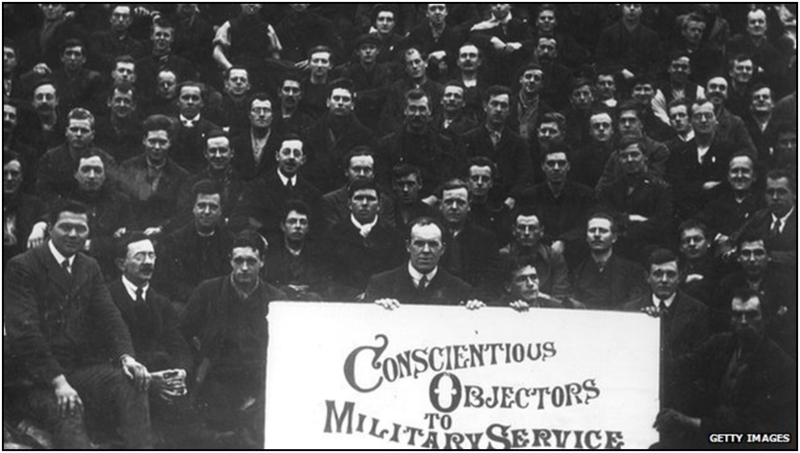 On 15 May the Opposing War Memorial design will be unveiled at a launch event following the fourth annual International Conscientious Objectors Day Vigil in Edinburgh. Following the offer of a site in Princes St Gardens, a World Heritage site that is visited by millions of people, a consortium of civil society groups and peace campaigns held a competition and invited four artists to submit designs for a memorial to conscientious objectors and all who oppose war. The artists engaged with descendants of COs, academics and adult learners who have been investigating conscientious objectors of the First World War. Edinburgh based artist Kate Ive’s design has been selected and a maquette will be unveiled at the launch event. Kate Ive’s winning design will pay tribute to First World War COs whose resistance laid the groundwork for a wider peace movement that continues to this day and will continue into the future. Organisers hope the finished sculpture will be installed by April next year, the centenary of the end of the First World War for COs who were imprisoned until April 1918. 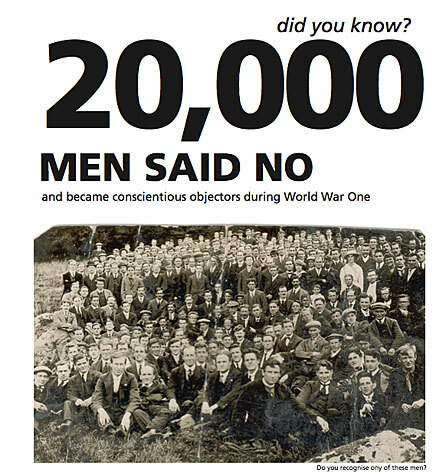 Kate Ive’s engaging, inclusive and interesting design will commemorate the resistance of conscientious objectors and all who oppose wars, past, present and future. This unique “Opposing War Memorial” will create a space for reflection on the role of individual conscience and be a counterpoint whose time has come to the many war memorials across Scotland and the UK. At the event Historian Lesley Orr will talk about opposition to the First World War in Scotland, and Kate Ive will talk about her process in creating the design, and explain how people can be involved in creating a beautiful, intriguing and enduring monument to war resisters in Scotland’s capital city. The event will launch a campaign to raise funds for the next phase of the project – including completion of technical drawings. These will be submitted for approval by City committees, before the sculpture can be installed. The launch event will take place at Edinburgh Quaker Meeting House, 7 Victoria Terrace, EH1 2JL Edinburgh 6:30 – 8pm. Doors open 6:10pm for a cup of tea. The launch will follow the Conscientious Objectors Day public vigil from 5- 6pm by the National Gallery where there will be speakers including descendants of WW1 conscientious objectors, singing by the local Protest in Harmony choir, silence, reading of names of COs and collecting of signatures on post cards calling for over 300 South Korean COs who are currently in prison to be allowed to do alternative service. 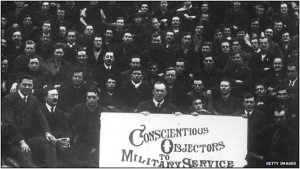 These events are part of a week of events on conscientious objection organised by Edinburgh Peace & Justice Centre, Workers Education Association Scotland, Great War Dundee and Abertay Historical Society. War Resisters International, Peace Pledge Union, Peace News, Edinburgh MP Tommy Sheppard and Alison Johnstone MSP, First World War historian Trevor Royle, and Cyril Pearce, creator of the Pearce Database of First World War conscientious objectors. For more information email: coordinator@peaceandjustice.org.uk or tel. 0131-629-1058.